Augmented reality is often defined by the ability to change a viewer’s perception of reality through the overlaying of digital information. Yet there are many cases where non-digital technologies have also been used to augment a viewer’s perception of reality so as to adjust and/or limit exposure to elements of a ‘live” event. These welder’s safety goggles are an interesting case in point. 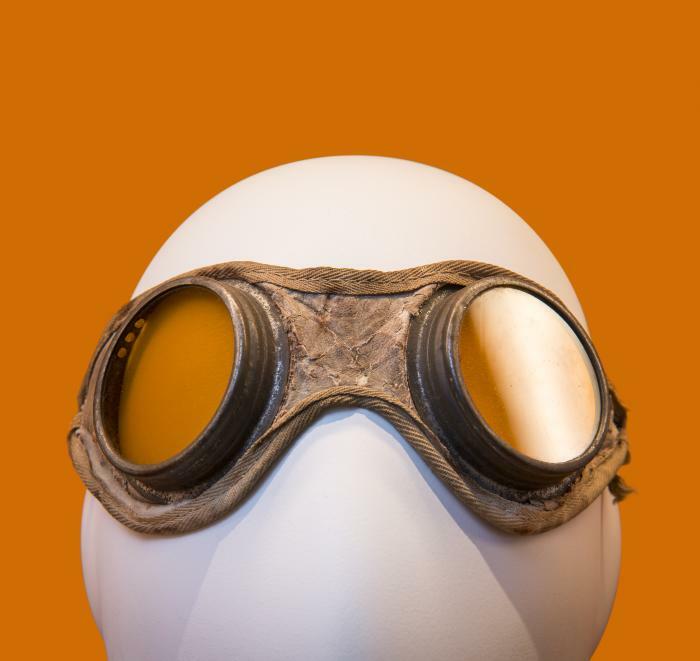 Developed to protect the eyes of welders from sparks and debris, they were also fitted with amber-hued lenses to filter out excessive blue light (preventing the damaging light of “welder’s flash”) and increase visibility in low-light environments, such as during a power outage.